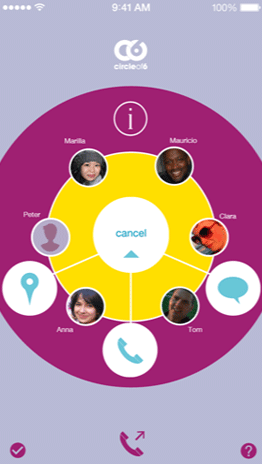 Now imagine that with a few clicks on your phone a circle made up of your 6 most trusted people can know where you are and what you need. Add up to 6 people from your contacts to join your circle. Choose good friends or any trusted adult. “Come and get me. I need help getting home safely.” with your GPS coordinates. Direct access to information about sexuality, relationships and safety. Direct access to national hotlines and a specialized hotline of your choice, such as LGBTQ, Spanish-language, etc. based on your personal priorities. Is this something you would use? Do any of your friends already have it on their phone? This app was originally designed for college campus safety, but we think that it can be used for anyone! Let us know what you think in the comments!